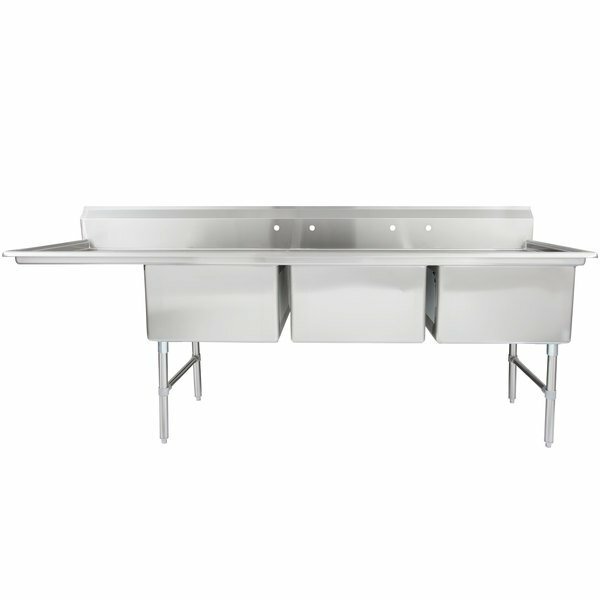 Washing, rinsing, and sanitizing has never been easier than with this Regency 102 1/2" stainless steel 3 compartment sink! 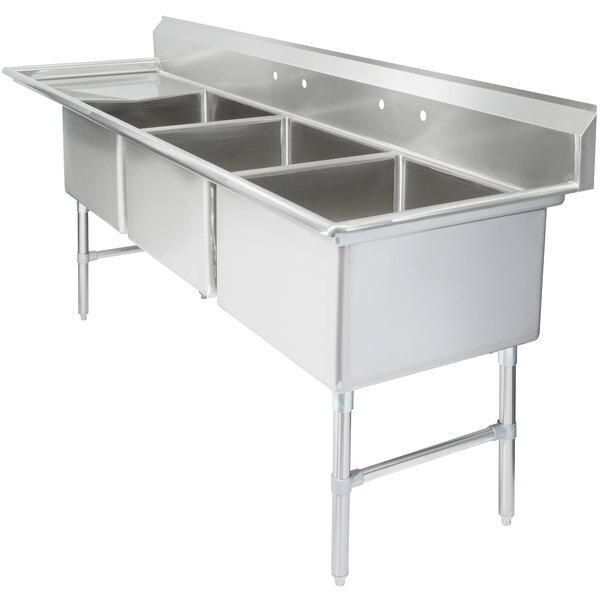 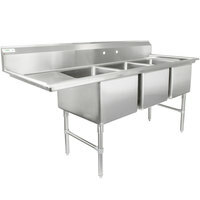 Great for busy commercial kitchens, this 3 compartment sink includes a drainboard to maximize your work space. 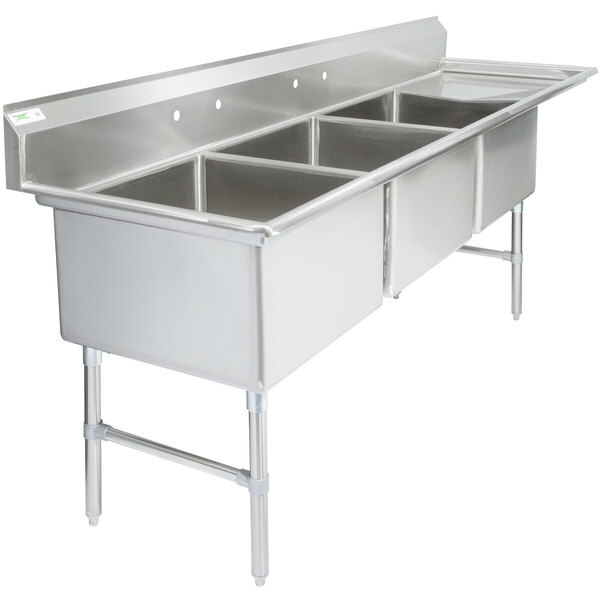 Plus, its durable construction and enhanced features make it easy to establish an efficient work flow to wash dishes or prep food. 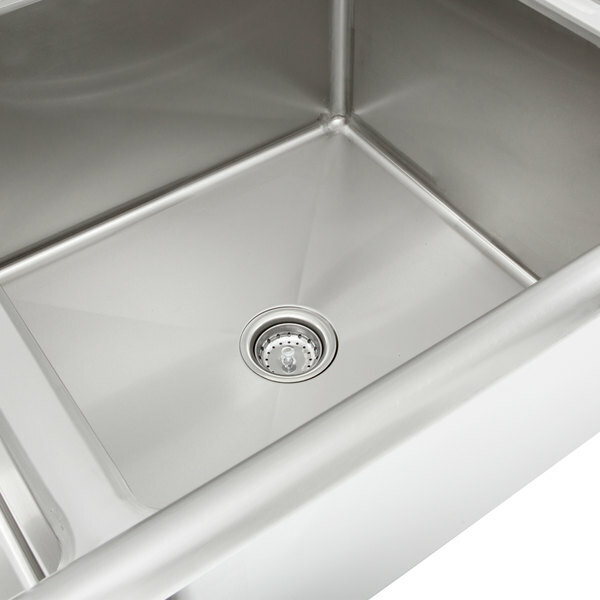 Made with a 16-gauge, type 304 stainless steel, this sink is corrosion-resistant and more durable than other sinks made from thinner, 18-gauge material. 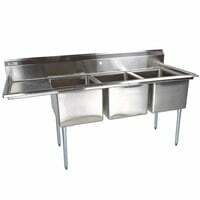 Plus, it's easy to maintain and can be wiped clean at the end of the day. 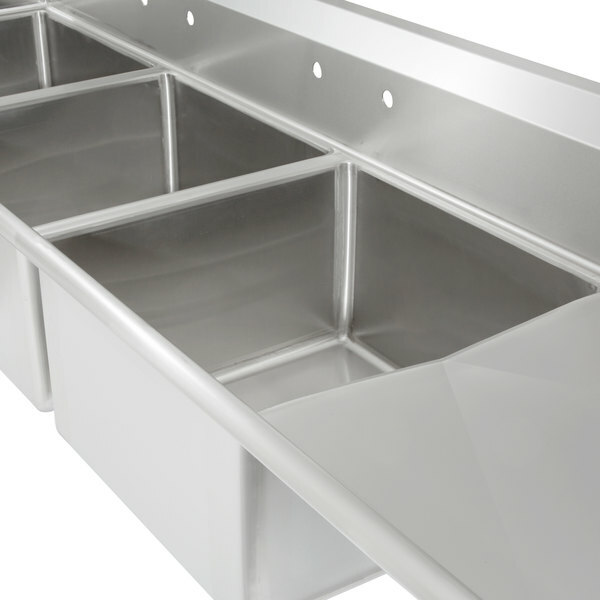 Built to last, stainless steel sinks are a great investment when cared for properly. 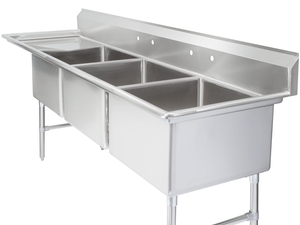 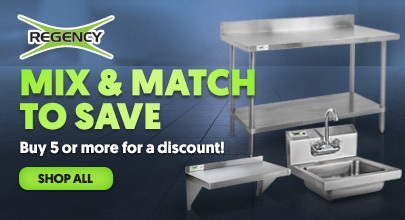 With the 24" drainboard, you can increase your drying space and declutter your drying racks and countertops. 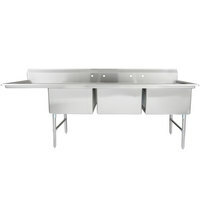 With the added work space, you can increase the organization in your day-to-day kitchen operation. 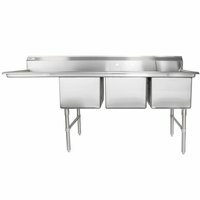 Your staff will appreciate the extra room and health inspectors will applaud your attention to standard codes and regulations. 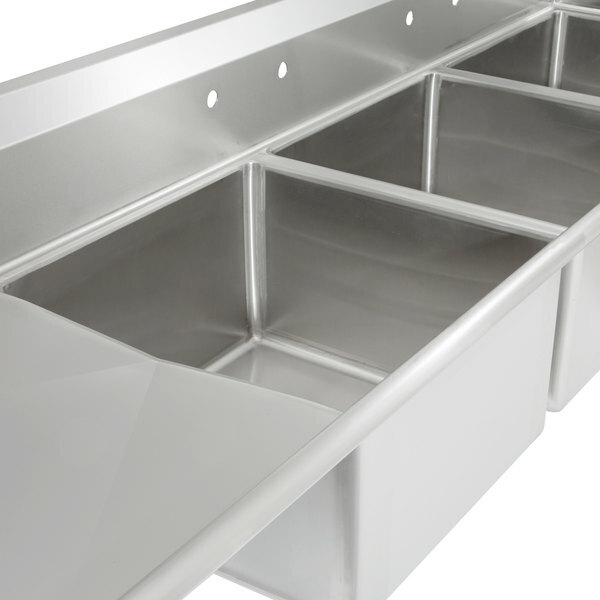 A 1 1/2" raised rolled edge, which is 2" tall on the front and both sides helps contain splashes and overflow. 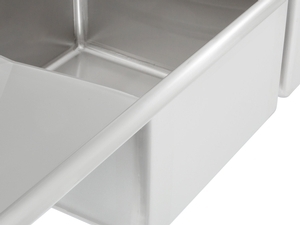 To conveniently catch food debris, 3 1/2" drain baskets prevent the drain from becoming clogged. 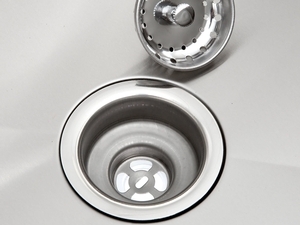 A 10" tall backsplash is included with (4) 1 1/8" diameter holes punched on 8" centers for 2 faucets (sold separately). 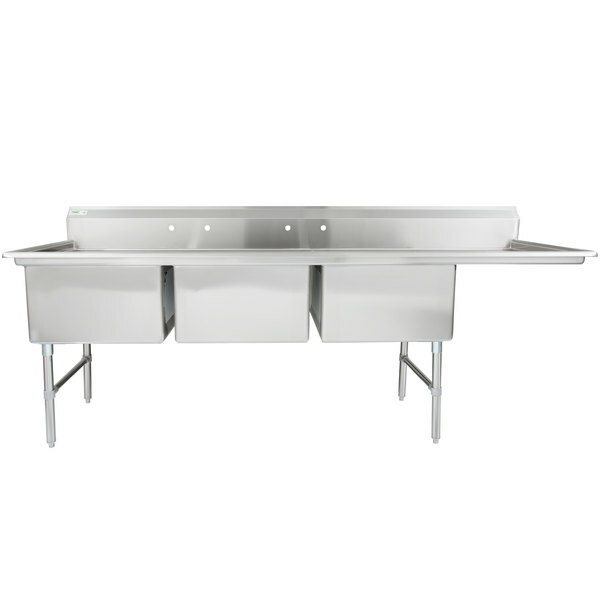 These feature cross-bracing for added strength while they elevate this sink to a comfortable working height. 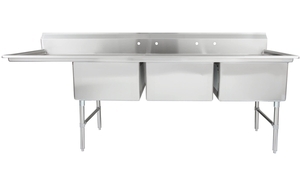 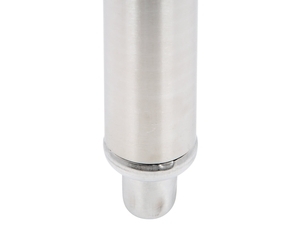 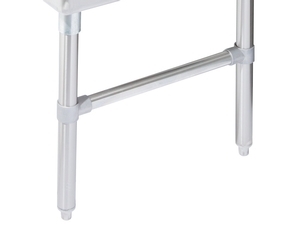 Adjustable bullet feet provide additional stability and provide a sturdy platform for the sink.